It's been a long time since we last heard about flying cars. Just last week, Uber released a white paper detailing its plans to incorporate vertical take-off and landing (VTOL) to its ridesharing services. While the company acknowledges that it has a long way to go to actually have this service up and running (or flying), it brings to our attention an innovation that’s necessary to get there. Before we can have any VTOL services, we need to have a working VTOL car. Google co-founder Larry Page, who owns two flying car companies, has not forgotten this. According to several eyewitnesses, he might already have one working VTOL car courtesy of Zee.Aero, one of his two flying car companies. Popular Mechanics reports that several witness heard the flying car whirring while hovering about Hollister Airport in California. Some eyewitnesses even claim that they saw the machine take-off and land vertically. 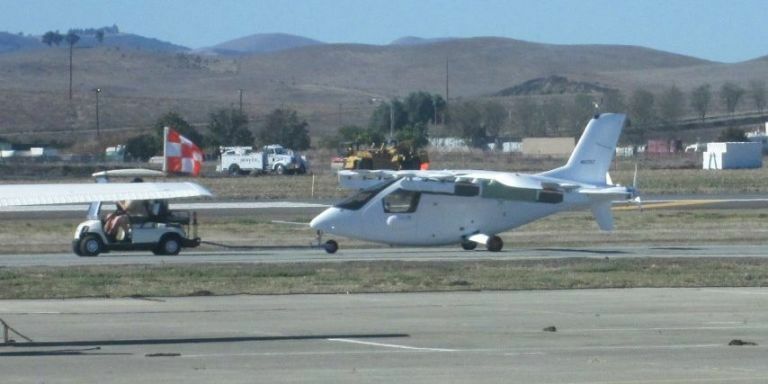 Does Larry Page already have a working VTOL car? We don’t really have much available in terms of details, except that Zee.Aero previously filled a patent for a car that can lift off vertically using battery-powered propellers. In any case, the quest for flying cars is on-going and the Google co-founder isn’t actually the only one who has been working on it. There’s Airbus, with its A3 Vahana, and a company called Joby Aviation working on its S2 VTOL craft — and Uber mentions these in their white paper. Then there’s also AeroMobil, with its plans to release a commercial version of their AeroMobil 3.0 flying car by 2017. Not much development has been reported on these projects recently, especially since the future of transportation seem to highlight autonomous vehicles, hyperloops, and electric-powered cars. It also doesn’t help that Zee.Aero’s very secretive about it — even their website is sparse. It isn’t clear that flying cars will be an integral part of the transportation revolution, but it is nice to see that some are keeping the dream alive.